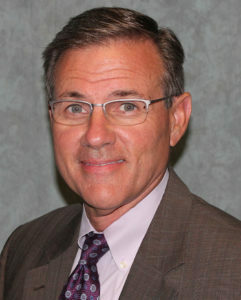 Hillcrest Health Services recently introduced Dr. Anthony Hatcher, DO, FAAFP, as its first Chief Medical Officer. Bringing with him years of experience in the health care industry, Dr. Hatcher will work to establish care protocols and clinical pathways, interacting with Hillcrest’s existing medical directors, to ensure continuity of care across the entire Hillcrest organization. Dr. Hatcher spent more than 20 years working for Alegent /CHI Health as a practicing clinical physician. He also served on the Alegent Health Board of Directors and as the Chief Administrative Officer of Alegent Health Clinic. In addition to being Hillcrest’s CMO, Dr. Hatcher will also serve as the Medical Director for Hillcrest Millard, which is scheduled to open in January, and Hillcrest Firethorn, which officially opens in Lincoln this month. Dr. Hatcher lives in Omaha with his wife Amy and their five children.